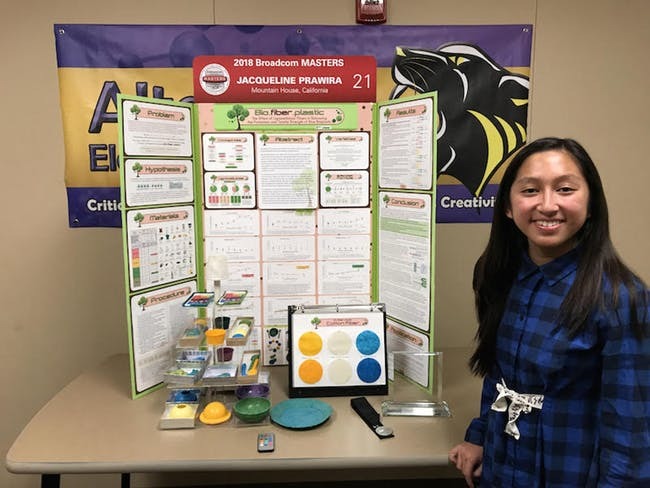 Jacqueline Prawira has competed in science fairs since she was in fourth grade. But despite now being a seasoned pro who’s contended at the state level three times and was honored with a BROADCOM Masters award in October, Prawira, now 14, was often plagued by a phenomena that gets the best of us: nerves. The nights before competitions were filled with stress that bled into the morning. On the floor with her experiments, all she could think about was when the next judge would walk by. But when she competed in a California state science fair as an eighth-grader with a bold plan to solve the global plastic problem, that all changed. She found her scientific flow state. Everything was coming out of me, like I was born to say it. 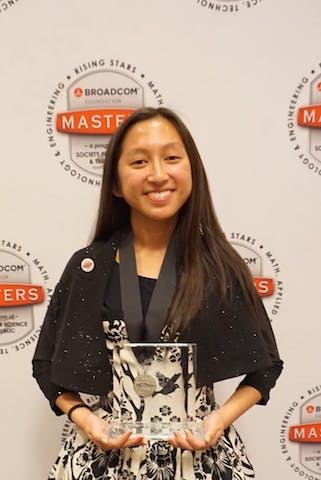 That science fair was one of many competitions that eventually took Prawira to the nation-wide 2018 BROADCOM Masters tournament in Washington, D.C., where she showed off her work in creating biofiber plastics, created from paper, cotton, and corn husks. About 4,000 student scientists competed in science fairs around the United States to reach that level, and this year Prawira won one of the top awards the competition has to offer. 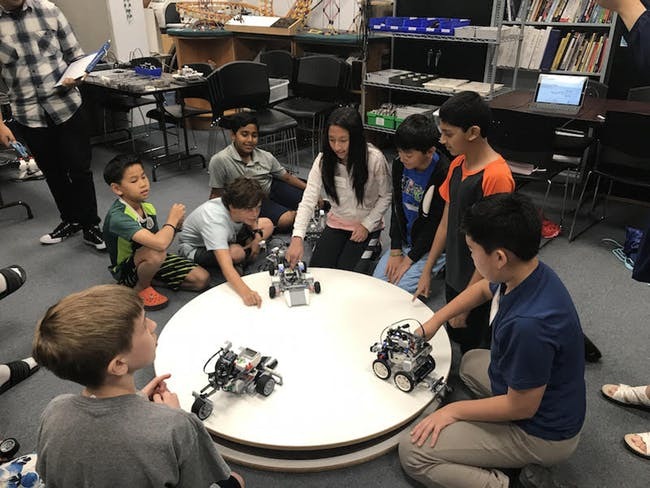 “It was a long journey, from my school science fair in the classroom, the actual school science fair, then to my county, then state, and then up to the BROADCOM Masters level, and then that fateful day when I got that call about the award,” Prawira reflects. The passionate environmentalist and “upcycling” enthusiast took home the Marconi/Samueli Award for Innovation, which comes with a $10,000 prize. Bioplastics, also known as bio-based plastics, are plastics that aren’t made from the usual Earth-polluting materials, like petroleum. In recent years, scientists have discovered that sugar from plants can be broken down into molecules that can link together to form plastics, reducing our dependence on oil — and the carbon footprint that comes with it. 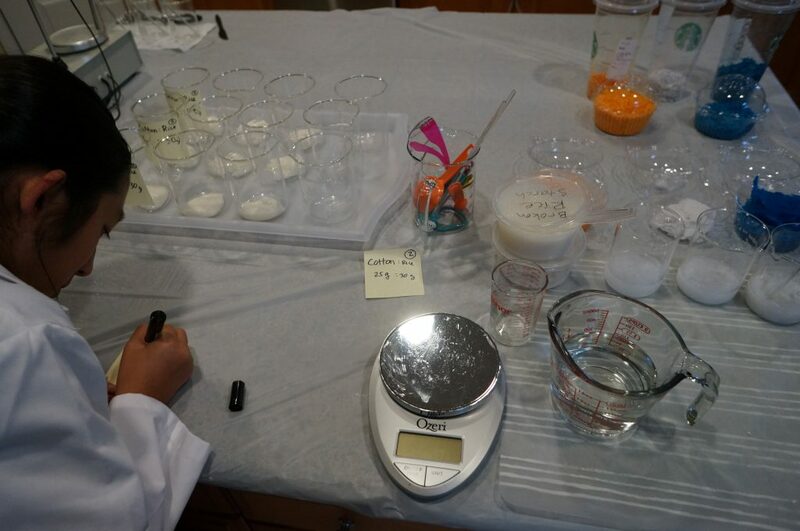 Prawira’s previous experiments on creating her own bioplastics at home produced “broken rice bioplastic,” a conglomerate of broken rice starch, water, acetic acid, and other compounds. In her award-winning experiment, she attached other types of fibers to the broken rice starch to improve the strength and flexibility of the resulting plastic. Jacqueline won the Marconi/Samuel Award for Innovation. I made my plastic this way so it can be a disposable plastic for items that we use in everyday life. She was hunting for a way to use up the cellulose fibers in cotton, corn, and paper that are usually tossed into landfills during processing, where they can wind up in waterways. Her experiments culminated in the discovery that bioplastic made with paper fibers is the strongest, while adding cotton fibers makes bioplastic more flexible. Now a high school freshman, Prawira’s next goal is to develop a bioplastic that can fully degrade in the soil and in the ocean. “I made my plastic this way so it can be a disposable plastic for items that we use in everyday life — so that way, we can upcycle the garbage, instead of sending it to the landfill where it can end up in the ocean,” Prawira explains. Jacqueline working on her experiment. Prawira is motivated to beat the “plastics problem” that stems from our dependence on non-disposable, environmentally unfriendly items like single-use plastic bottles. She doesn’t want that for herself: This plastics problem, she says, is going to catch up with us, and she wants to be proactive. When Prawira isn’t busy saving our planet — she hopes to one day become an environmental engineer — she’s a voracious reader with a deep love of the Harry Potter series (“When I start a book, I can not just drop the book and walk away”) and has practiced taekwondo for the past six years. 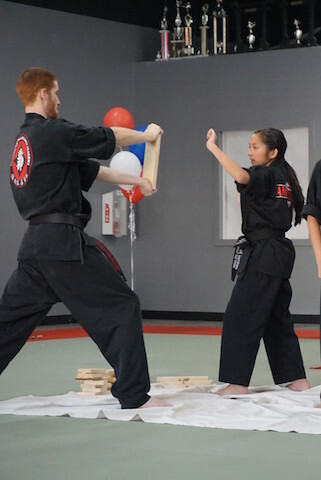 She got her second-degree black belt in August and counts the martial art as a huge influence on her young life. “Reading has given me a ton of knowledge, and at the same time, martial arts have changed my life,” Prawira says. Jacqueline, working on robotics at school. In talking to Prawira, it’s obvious that she has mastered a difficult-to-achieve skill that goes beyond being an excellent student or second-degree black belt: She can articulate her passions in way that’s astute and forthright. In other words, she’s still in her scientific flow state, capable of putting into words hugely complicated and personal ideas, like what it means to love science. At its most basic level, she says, science is a way to solve and answer questions to create new knowledge, which to her is precious. “Science is not only just about discovering new things, it’s the very act of discovery itself,” Prawira says. “I enjoy obtaining new knowledge, and exploring questions that people might not have asked yet — or maybe those answers aren’t really out there yet. It’s really about learning and discovering in a way that you can grow. Plastivision does not claim ownership of this article.